In the spirit of service, not self, the mission of the American Legion Auxiliary is to support the American Legion and to honor the sacrifice fo those who serve by enhancing the lives of our veterans, militarym and their families, both at home and abroad, For God and Country, we advocate for veterans, educate our citizens, mentor youth, and promote patriotism, good citizenship, peace and security. 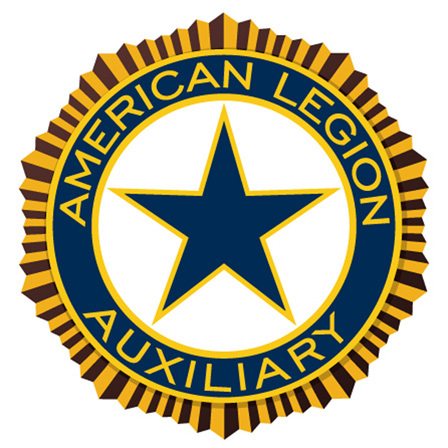 The vision of the American Legion Auxiliary is to support The American Legion while becoming the premier service organization and foundation of every community providing support for our veterans, our military, and their families by shaping a postitive future in an atmosphere of fellowship, patriotism, peace, and security. To provide educational and leadership opportunities that uphold the ideals of freedom and democracy and encourage good citizenship and patriotism in government. To empower our membership to acheive personal fulfillment through "service and self"
Our statement of values is predicated on the founding principles . . .